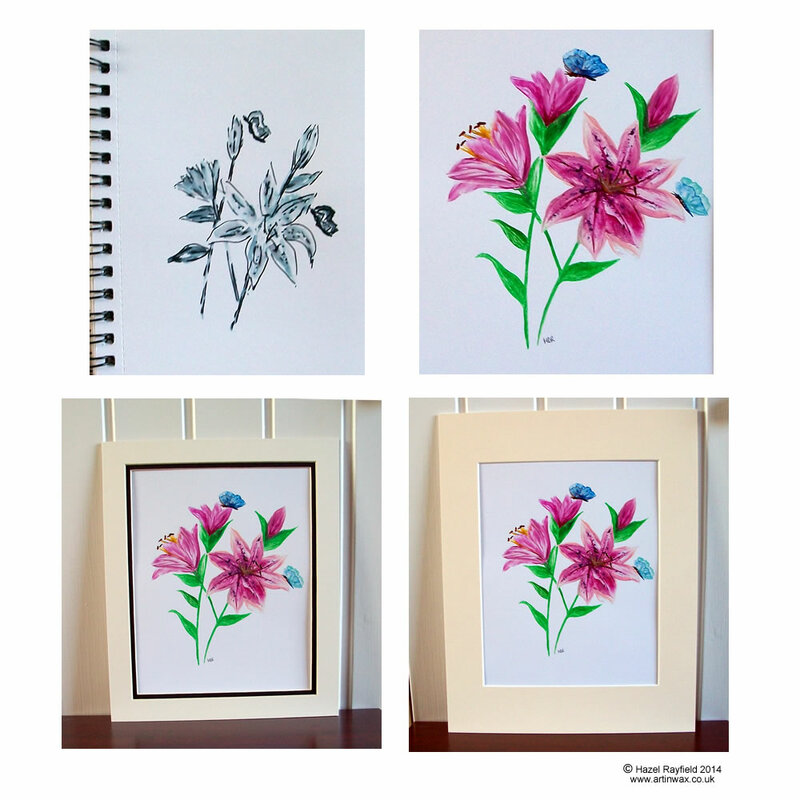 I was asked recently if I would paint a commission piece with the brief of a painting about 8 x 10 in size featuring Stargazer Lilies and blue butterflies ……. I decided to work out the piece with a ink pen and wash sketch to get a guide of the composition I had in mind before stating painting in wax. You can see below the sketch and the painting, together with it mounted in two ways as the options for the client. The finished painting, featuring pretty lilies in different shade of pink and at different stages of bloom with delicate blue butterflies that have a hint of silver in the wings is now fully mounted in the double mount to 10 x 12 inches option and on its way to a new home in the Midlands here in England.